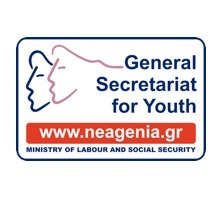 The General Secretariat for Youth was set up in 1982 as a governmental institution with the primary task of shaping, monitoring and coordinating the government policy for youth and its connection with society and social entities. 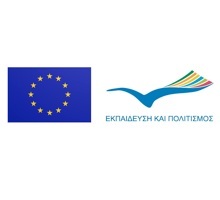 In this way, Greece was harmonised with the european and international practice of high-level, self-sustained and integral government services aiming to public youth policies. Since the beginning, the aimed at a youth policy with a fresh attitude and context with a view to keep up with young people’s interests and demands. Youth must respond to the challenges of the future. We all have to contribute to this demanding task. The General Secretariat for Youth attempts a new quality leap, as nowadays, a different speech is no longer sufficient. What we need is a combination of systematic efforts, adequacy of programmes and first and foremost, action. If you are a young individual aged between 13 and 30, then at least one of our “Youth in Action” Programme’s Actions will definitely get your interest. All 5 Actions of the “Youth in Action” Program offer young people the opportunity to become familiar with another European country and its culture through youth exchanges, individual voluntary work or support activities. 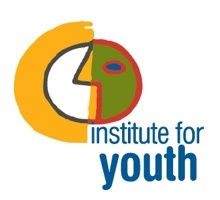 The Hellenic Institute for Youth is a governmental organization overseen by the Greek Ministry of Education.The role of the institute is to coordinate youth policies on the national level (along with other government agencies) and implement EU youth programs in Greece.The institute’s current programs focus on cultivating entrepreneurial culture and supporting youth entrepreneurship, as well as on supporting various civil society initiatives. 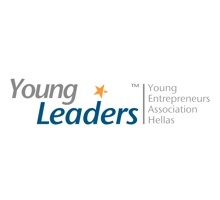 Young Leaders (Young Entrepreneurs Association Hellas) is a Non Profit Organisation founded in 2007 by a team of young and successful businessmen. Young Leaders aims at the promotion and development of young entrepreneurship in Greece via dynamic and innovative actions. The basic element for the Associations achievement concerning the objectives and targets that it sets is that it reinforces the sense that young entrepreneurs have in combining creativity and innovation with the most appropriate management and the capacity to adapt their own enterprise, taking into account the worldwide ongoing changes. Young Leaders constitute a promising association of young entrepreneurs as it is basically the first time that an institution assembles such a great and a continuously increasing number of young and active entrepreneurs from trade, industry, manufactures, shipping, information technology, health, media and publicity, education, etc. The members of the Association share the vision of searching, exploitation and complete appointment of young inspiration and creativity while promoting enterprising action within Greece and abroad. 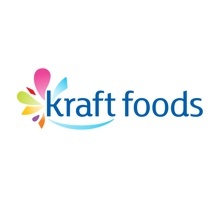 At Kraft Foods delicious is our difference! We begin with our consumers.We listen, we watch and we learn. We understand their joys and their challenges because we are consumers too.We make delicious foods you can feel good about. Whether watching your weight preparing to celebrate, grabbing a quick bite or sitting down to family night, we pour our hearts into creating foods that are wholesome and delicious.We believe we can make a delicious difference, everywhere. We are constantly looking for fresh ideas to improve our workplace, our partnerships, our communities and our world. Bold Ogilvy, the biggest advertising agency in the country, was established in 1977 and builds brands for its clients in the FMCG, Finance, Retail, Telecoms, Technology , Cosmetics , Energy and Automotive sectors. Bold was established in late 1977. From the first moment, creativity, professionalism and top its quality work was appreciated by the local market.Its high rate of new business success, led Bold to become the second largest company in the market, within its first 4 years of operation. 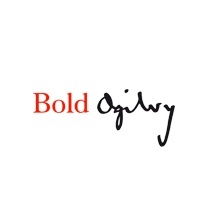 In 1984 Bold joined the Ogilvy Group. Since then, Bold has maintained its unique creativity and dynamic growth which values politeness, dignity and integrity. Since 2002, Bold is the number 1 agency in Greece by all measures and is the most awarded company in the local market. Bold has managed to build a versatile climate of cooperation and has the lowest client turnover in the market. The pioneering and innovative work has positioned Bold as the thought leader in the market. Communication Effect is a dynamic Public Relations and Strategic Communications agency. Since 2000, Communication Effect has been the affiliate for Greece and Cyprus of the Edelman network, the largest privately held international PR agency. The company offers all types of communication services and has extensive knowledge and expertise in Corporate Communications, Consumer Public Relations, Events Management, Public Affairs & Crisis Management, Relationship and Interactive Marketing. 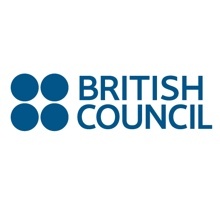 The British Council is the UK’s principle organisation for international cultural relations. We connect people with creative ideas and learning opportunities from the UK and aim to build mutually beneficial relationships between people in Greece and the UK. In an inter-dependent, turbulent world we believe that creating opportunities for people to understand each other better, work together more and learn from one another is crucial to building secure, more prosperous and sustainable futures for us all. Our activities – whether in the arts, science, sport, English teaching, climate change or education – nurture greater trust and understanding between different countries and cultures. The British Council has worked in Greece since 1939 with a large number of Greek organisations in both the public and private sectors and has offices both in Athens and Thessaloniki. A new creative office set up by persons with adequate experience in the area of visual communication and mainly, with a lot of inspiration and zest for creation. B612 was established in 2007 by George Androulidakis and Fotis Dimas (graphic designers) and already has to show a large amount of projects. 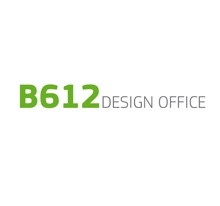 Their specialization is in corporate identity design, approaching each case from a fresh perspective, with no preconceptions, innovative ideas and thinking (outside the box); proving every day that a small design team, like B612, can be more focused and productive, delivering better quality tailor made products. Since inspiration has no working hours, their minds just never stop, either they are at the office, bicycling or scuba diving. Although their brand name alludes to a small-sized company, that’s not the case. On the planet B612, it doesn’t matter how small you are, but how big your imagination is. 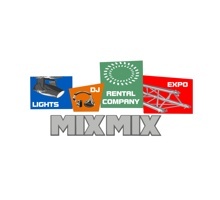 MIXMIX is an Athens based lights and DJ equipment and production company.